Pre-K through 4th grade came in shifts by grade to settle on the carpet of the library and listen to programs of story keyed to the curriculum of study at present for their grade. We covered neighborhoods, and environments, weather and Native Americans, Martin Luther King Jr. , folk music, and the history of our town. I know I had a wonderful day reconnecting with old friends and developing new ones among the staff and students. I hope that each of them found a story moment to share with their families and a chance to try out their storyteller skills. We introduced new vocabulary, reinforced classroom curriculum, used rich full language that enables literacy to develop, and dabbled in history. 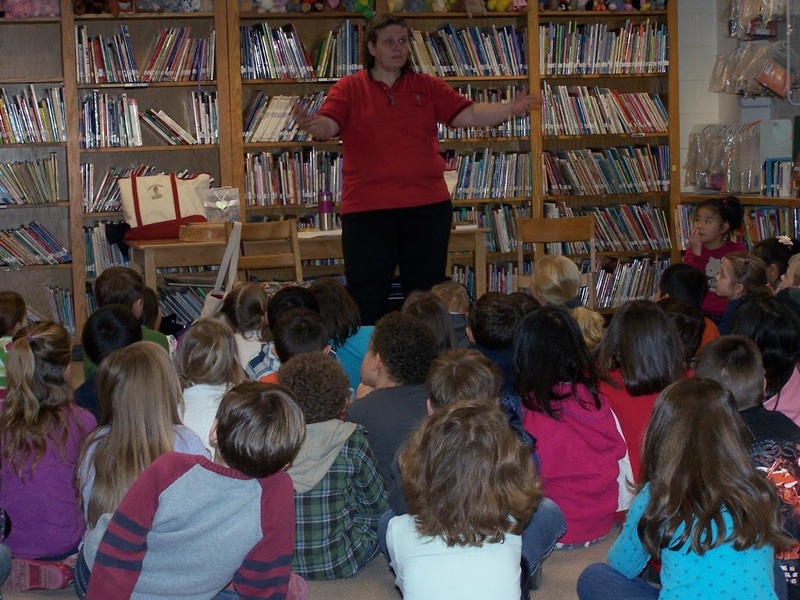 This was a day I could tell all kinds of stories from the simplest folk tale of the Gingerbread man for the tiny listeners to the more complex tales of history for the 3rd and 4th grade. Storyteller joy is right here in a day like this. 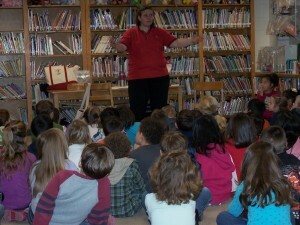 The flip side of that audience is one of all adults, many of whom are storytellers. Story Space in Cambridge, Ma. is just that kind of venue. Choosing which story to tell your peers is a challenge! I want to show my best work, not share a story most have heard before. I also want to show my range of story genre. 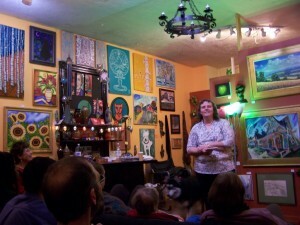 This was a magical night for me in the Cambridge Story Space. http://www.storyspace.org/Home.asp I shared a funny personal story, a newer piece I created of historical fiction regarding the singer Patsy Cline and her song “Crazy” in my set as the featured teller of the week. 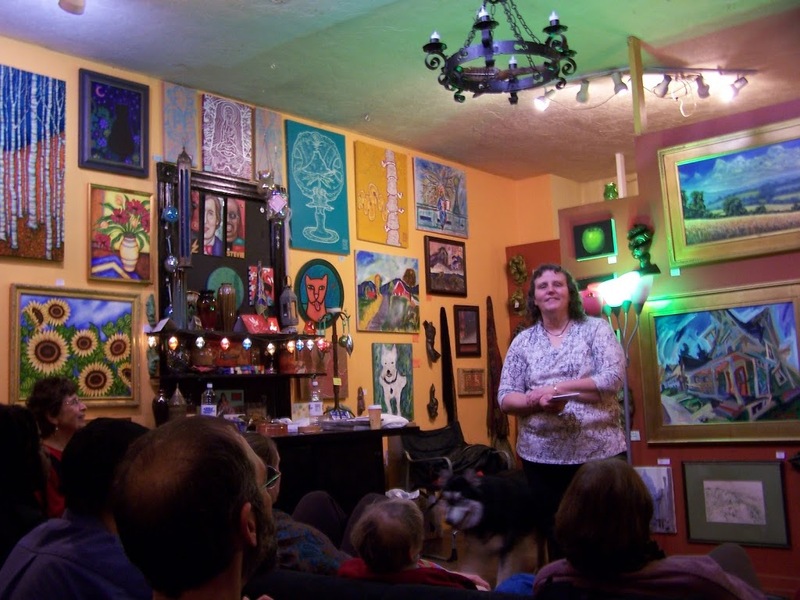 I highly recommend a night at the Story Space held in, Out of the Blue Gallery in Cambridge – check it out!